Other Nicholas Ray films may carry the name recognition and marquee value, but its On Dangerous Ground that offers his most taut and accomplished work. Nicholas Ray is not an easy director. Almost all of his work requires the viewer to be introspective while simultaneously digging deep beneath superficial layers to discover irony, paranoia and self-loathing. 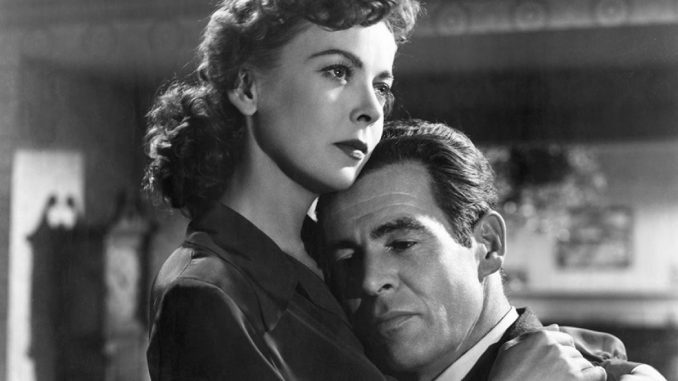 Whether it’s the misunderstood protagonist from Rebel Without a Cause to the raging psychopath boiling over from In a Lonely Place, the narrow margins of empathy and distaste for Ray’s characters eventually blur. The same could be said in spades for the crime noir masterpiece On Dangerous Ground, recently released through the Warner Archive Collection. 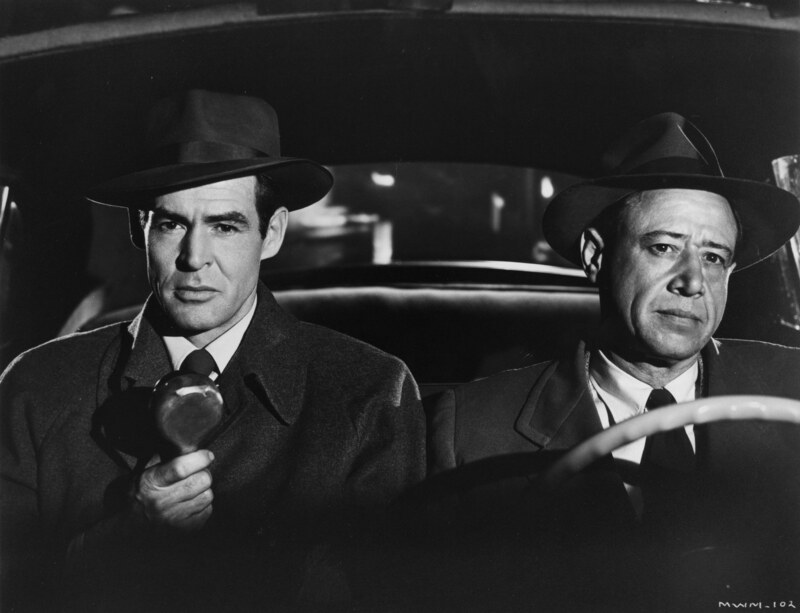 Robert Ryan stars as a good New York cop gone bad. Years of dealing with the “human garbage” of the streets has turned him into a violent bully. His sadistic tendencies run amuck, as he beats confessions out of his suspects with almost gleeful abandon. His partners run interference in hopes of calming him down, including his sergeant (played by the ever-expanding waistline of Ed Begley) who does his best to protect Ryan from the citizenry that are becoming increasingly alarmed (and litigious) over his brutality. (What seemed timely in 1952 feels absolutely prescient today). In order to take the heat off him, the Sergeant sends Ryan “Upstate” to help solve the murder of a young girl. Hoping he’ll be acting in more of a “consulting” role, the Sergeant thinks this little “errand” should keep Ryan out of trouble. Instead, Ryan is dropped smack into the middle of a small-town pressure cooker, where the dead girl’s father (played without predictable folksy charm by Ward Bond) rifle in hand, blazes his own path of vengeance. As Ryan tries to stay one step ahead of this vigilante, the trail of the killer leads the unlikely duo to a lone cabin in the snowy woods, where a mysterious blind woman lives. 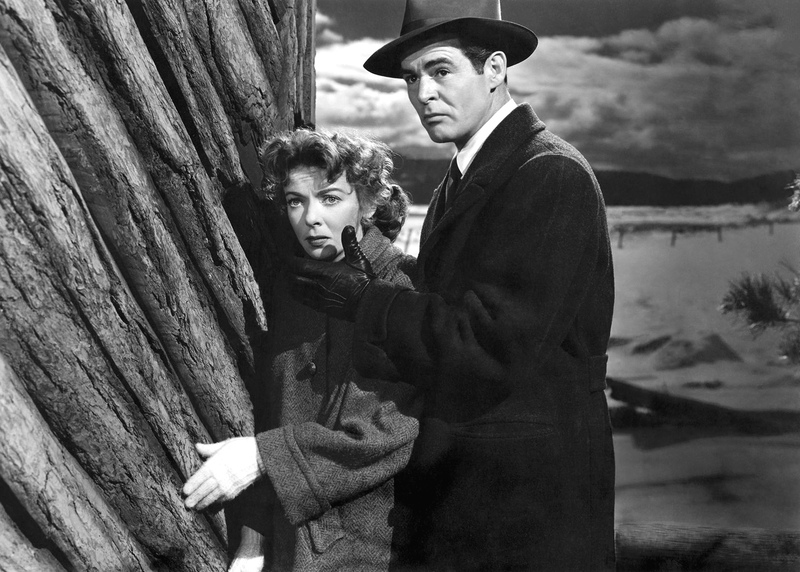 Ida Lupino, as the “visually impaired” femme may actually have more understanding and vision into Ryan’s “darkness” than anybody. On Dangerous Ground absolutely drips with tension, suspense and a surprisingly sympathetic anti-hero. Director Ray imbues every scene with unspoken truths about post-traumatic stress and the violence inside all of us, evinced by Ward Bond’s character; a man who probably lived a good and honest life until tragedy struck. And the mirroring that Ryan’s cop recognizes within himself, is initially drawn to, and ultimately repulsed by, becomes absolutely palpable. A bonafide classic today, the film lost money on its release. 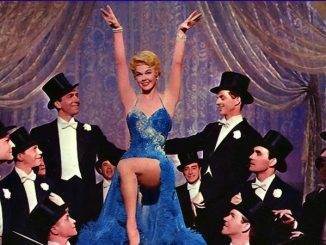 Producer John Houseman (yes – THAT John Houseman) was looking to finish off his RKO contract as a Producer and get the hell back to Broadway — his first and only love — and quickly grabbed up the short story’s rights. 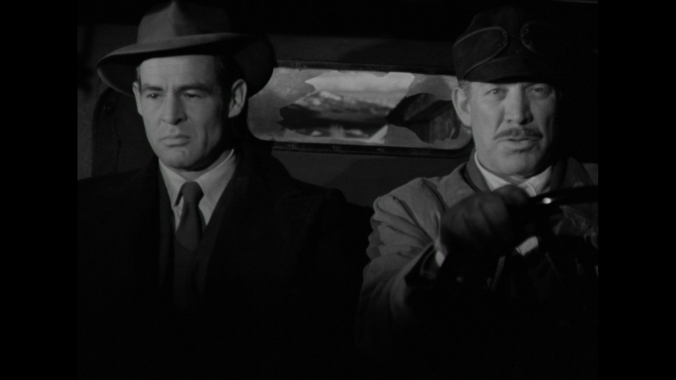 Houseman was never a fan of the pulpy tale, and it took some convincing by his friend Nicholas Ray to be allowed ro adapt and direct the project with complete autonomy, neither realizing On Dangerous Ground would become the bane of RKO’s existence; not making its money back for decades. Other Ray films may carry the name recognition and marquee value, but its On Dangerous Ground that, to this reviewer, offers his most taut and accomplished work. This is essential filmmaking and a textbook noir. 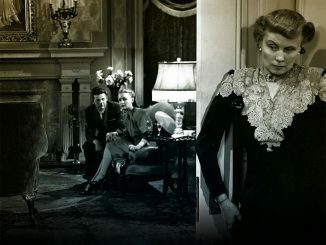 For those looking for one of the great crime thrillers of the 20th century, you have no reason not to own this sumptuously restored Warner Archive Collection Blu-ray.